One of the many things I love about blogging is how supportive mom bloggers can be of one another. 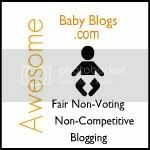 We comment on one another’s blogs, we share posts we enjoy, and we get to know (at least virtually) the other mommies who are sitting behind their computers during naptime, just like we are. One example of this abundant bloggy love is the Liebster award which is not exactly an award in the big fancy way, but is more just a little acknowledgement from one blogger to another (11 others to be exact) to say, “Your blog is great”. It is specifically for blogs who have 200 followers or less, so it’s an awesome way to give a shout-out to up and coming bloggers. Keesha from Mom's New Stage passed on this little token to me, which is super flattering because I think her blog is amazing. Keesha lives in Chicago, and is a dancer and a stay at home mom to two adorable little ones. She is smart, witty, and hilarious- the kind of woman I would want to be friends with if I knew her in real life. You seriously need to check out her blog. 1. I still don’t have a smartphone. I’m kind of holding out to see how long I can go without getting one. I’m weird, I know. 2. I always drink my coffee in a travel mug when I’m at home. I really hate cold coffee and spilled coffee and this prevents both. Not to mention the fact that the amount that fits in my travel mug is perfect with exactly one package of Splenda. It’s just meant to be. 3. I have been known to put peanut butter and chocolate chips in a bowl, microwave it, and eat it with a spoon. It’s not gross. It’s amazing. You need to try it. It’s the perfect I-don’t-have-any-junk-food-in-the-house emergency snack. 4. I don’t have an indoor voice. My husband says I have Outdoor Voice and Stadium Voice. 5. I have a Master’s degree, but my daughter has given me a better education than any university could have. Well, my daughter, and Google. 6. Wet socks really gross me out. I am always barefoot at home to avoid the unpleasant eventuality of stepping in a water droplet in the kitchen with socks on. Eeeew! 7. I’m a kind of-sort of-maybe-almost-pseudo-vegetarian, and I have been since I was a kid. 9. I tape a sign that says “Garbage” over the lock on the inside of my front door every night before garbage day, so that the next morning, I can’t get out of the house without being reminded to take the garbage out. My husband finds this really annoying. I don’t know why. 10. I don’t drive on highways, except when I take a wrong turn and accidentally end up on one. No really. That happened. 11. Clearly, I can't count to eleven, because I wrote the above facts and then posted this list without a number eleven. Thank you, husband for pointing out my mathematical inadequacy. This is kind of cheesy, but since I live across the country from my parents and brother, my favourite vacation is going home to see them. 2.Name a historical figure you'd like to be able to interview. 3.What is your favorite holiday? Any holiday where I don't have to work, and I get to eat a lot. 5.Favorite room in your home? You would think it was the kitchen based on the amount of time I spend there, but I really love my bedroom when it’s not a mess…which is never. Hmmm. Anyone who is famous for doing absolutely nothing. Coffee and lychee martinis. But not together. I’ve been watching Parenthood. It's pretty great. And now I’m spreading the Liebster love to these 11 bloggers. If you haven’t already stopped by these awesome blogs, what are you waiting for?! 1. Do you bother getting dressed if you are not leaving the house that day? 4. Real Housewives shows- love or hate (or hate to love)? 6. If you were a stroller, what kind of stroller would you be? 7. Do you close the door when you go to the bathroom if no one's home? 8. How many different homes have you lived in over the years? 9. What’s the best part about being a mom? 10. What’s the hardest part about being a mom? 11. How did you chose your child(ren)’s name(s)? Thanks for bearing with the longest post ever. If you actually read the whole thing, you deserve an award (which you can then post on your blog, and bore other people with a really long rambling post). LOL! Love the random facts. Thanks for sharing with your readers! I was going to mention there were only 10 facts but thought it was kind of a funny oversight and why spoil the fun! But, this is great. I will have to be sure and check out the other blogs! THANKS SO MUCH FOR TAGGING ME! I can't wait to divulge the answers to the your questions, although I have to admit it will take me a couple of days to get to the post. Gotta get my babies home tomorrow! Thanks for tagging me Laura!! ONe of my secret facts is I LOVE to answer random questions about myself. Narcissistic maybe?!! I don't know but I'm excited to do this one on my blog! Also, I think your "garbage" sign in genius and I'm going to do this in my house. I always forget my lunch, so now I won't have to! Yessss! I remember those emails! Loved them. I'm also a big Banana Republic fan. Anthropologie is also adorable. 2) What did you study? You say you have a master's? 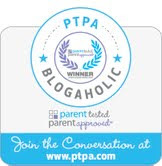 I'm sooooo late with this but I really wanted to thank you for choosing my blog for this award!! It's a real honor as a fairly new blogger to be recognized in any way. Congrats to you as well!